After going through how the sunglasses perform, you’ll be in a better position to tell whether you’ll go for a pair or not. Before paying for a pair of these sunglasses, ensure that you have a Bluetooth enabled device in the first place. The glasses will only work if you have such a device. Also, go through the features of the sunglasses to avoid getting a fake pair. That said, let’s see the features of these sunglasses. The sunglasses come in a plastic frame, a feature that makes them light in weight. You will wear the sunglasses for long hours and never experience pressure on your face. With the sunglasses, your face will never get rim imprints or red marks from the frame. The sunglasses have a black rim, a color that looks great on everyone’s face. The temples of the sunglasses are long enough to fit different sized heads. 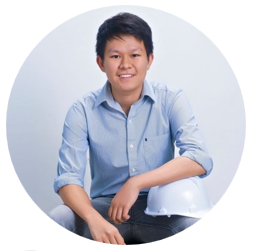 The nose bridge will fit on you perfectly and prevent the glasses from sliding down when working. The sunglasses have polarized lenses that shield your eyes from the sun’s glare. The glasses also have an anti-UV tint that protects your eyes from the dangerous UV rays of the sun. With a pair of these sunglasses, your eyes will always remain safe and healthy. The lenses of these sunglasses come with three different colors to choose from. You have a choice to select a red, blue or grey tinted pair. The tint will keep your eyes safe at all times when strolling outdoors in the scorching sun. 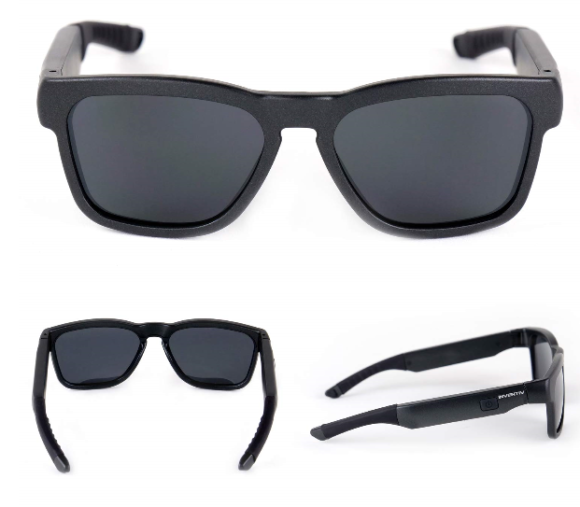 The sunglasses are compatible with any Bluetooth enabled device including Android and iOS devices. You will listen to your favorite music, make hands free calls and even receive navigations calls. With the lenses, you’ll always get entertained. 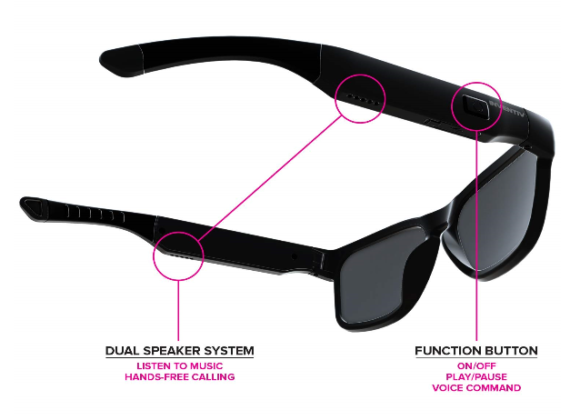 The sunglasses have a speaker system that enables you to call your friends and family while still being aware of all that’s happening around you. The speakers have high-quality sound allowing you to hear everything with a lot of clarity. The open speaker system makes you aware of the noise around you and thus keeps you safe at all times. The sunglasses come in a stylish design that looks great in both men and women. With a pair of the sunglasses, you’ll always look fashionable. 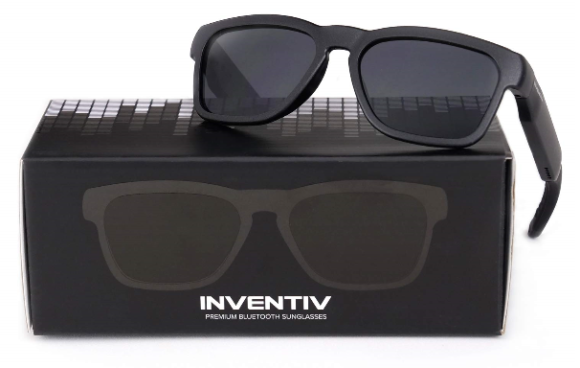 Inventiv Wireless Bluetooth Sunglasses come with a free hardshell case, a micro-fiber cleaning cloth, a USB cable, and a user manual. The hard shell helps to keep your sunglasses safe at all times when not in use. The microfiber cleaning cloth will always help you during the cleaning process and prevent your glasses from getting scratches. With the USB cable, you’ll charge your sunglasses with a lot of ease. Inventiv Wireless Bluetooth Sunglasses will shield your eyes from the dangerous UV rays and enable you to have a great day outdoors. The polarized lens will also keep your eyes safe at all times and will allow you to see where you are going with a lot of clarity. With a pair of these sunglasses, you’ll listen to your favorite music and make hands-free calls to your friends and family. The glasses have a long battery life meaning that you’ll enjoy the entertainment for long hours. The sunglasses come in a fashionable design and will look great on you since they fit both men and women. With a pair, you’ll get a lot of compliments. 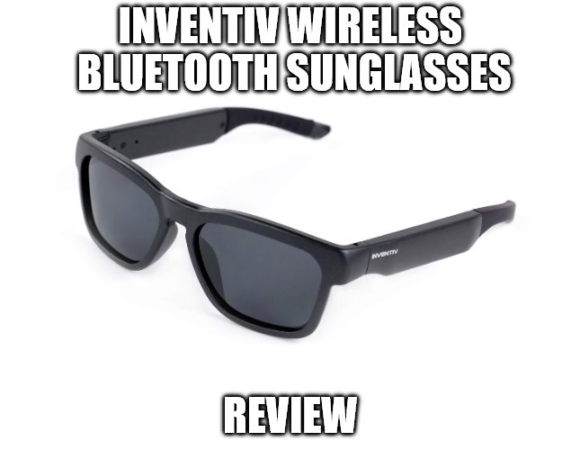 Inventiv Wireless Bluetooth Sunglasses come at a reasonable price if you compare it with the functionality. You can get a pair with less than $60. Get the glasses, and you’ll realize that they are worth every single penny. You’ll never regret going after them in the first place. Avoid using any other fabric other than the free cleaning cloth that comes with the pair if you want to keep your sunglasses safe from scratches. Always store the glasses in the hard-shell case if you want to use them for long. Do not leave the sunglasses where kids can get them with ease. If you’ve got no idea on how to use the sunglasses, take a look at the user manual, and you’ll get the help you need. Never clean your sunglasses with hot water, alcohol or chemicals as these can destroy the tint. 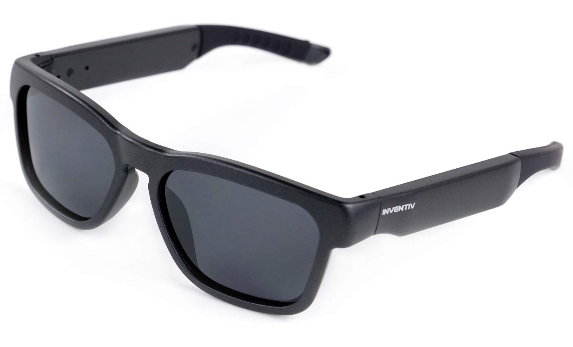 Inventiv Wireless Bluetooth Sunglasses will make your life much fun. You will get entertained at all times, make hands-free calls and most importantly, keep your eyes safe from the sun’s glare and UV light. The glasses will also make you look fashionable and get compliments from your friends. Should you decide to get a pair of these sunglasses, you’ll enjoy life at all times. Click here if you want to learn more about Inventiv Wireless Bluetooth Sunglasses.